Welcome to the WSU Ski Team website! We are a recognized Sport Club at Washington State University funded by our own fundraising efforts and an allocation from University Recreation. 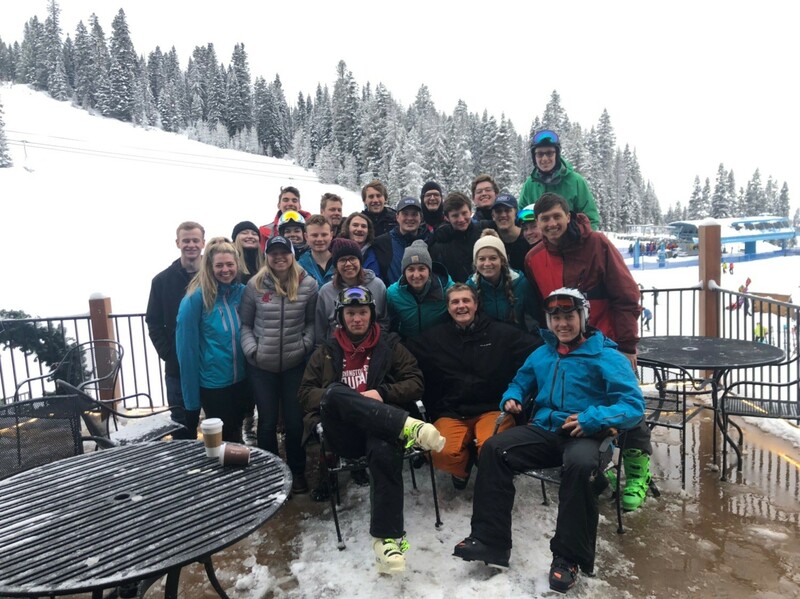 The WSU Ski Team competes in the Northwest Division of the USCSA (United States Collegiate Ski Association). We consist both of a Men's and Women's team who travel together to Slalom and Giant Slalom events across the Northwest. Both teams are held to an eight person travel roster, but our crew doesn't stop at 16. Every year we attend a week long training camp with between 16 and 30 skiers, many of whom have never raced before. Ever wanted to learn how to race? Now is your chance! Anyone with skiing experience is encouraged to join in on the fun. We are a team composed of individuals who strive to bring out the best in each other and enjoy our passion for skiing with like minded people. We have strong racing teams and we get better every year. Our Men's team took first in our conference for the 2018-2019 season. Being a club sport gives us the opportunity to teach new skiers how to race, even if they don't have prior experience; a luxury not afforded to varsity teams! Do something exciting with your college experience and join the team for our 2019-2020 season! 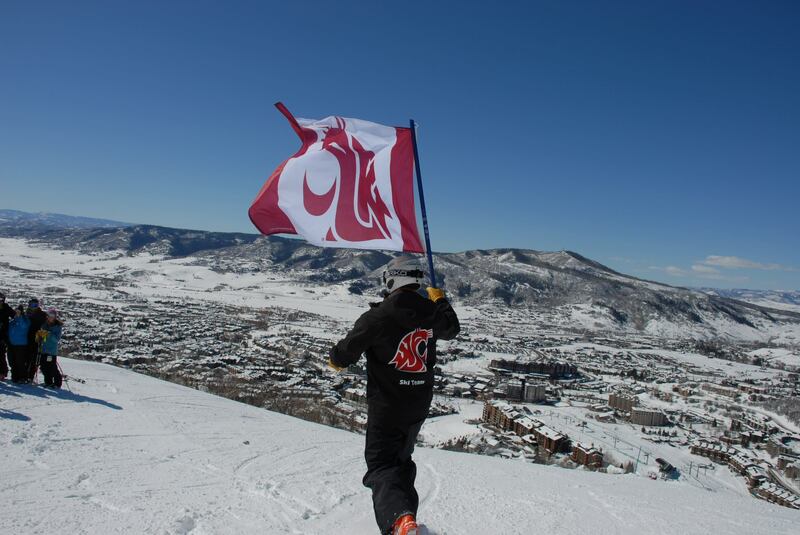 Person in ski gear who is holding a cougar flag and facing a precipice overlooking a snowy valley.